Amphawa Floating Market is one of the famous attractions of Samut Songkhram province and provides many activities for travelers especially on weekends. Our trip will start in the afternoon and it takes about 1.30 hours drive to the north of Hua Hin, Afterwards, to get an impression in the peace before the time to market opening, let's take a little walk around the simple old style wooden house a many merchants and villagers gradually paddle their boats containing various goods along the canal. 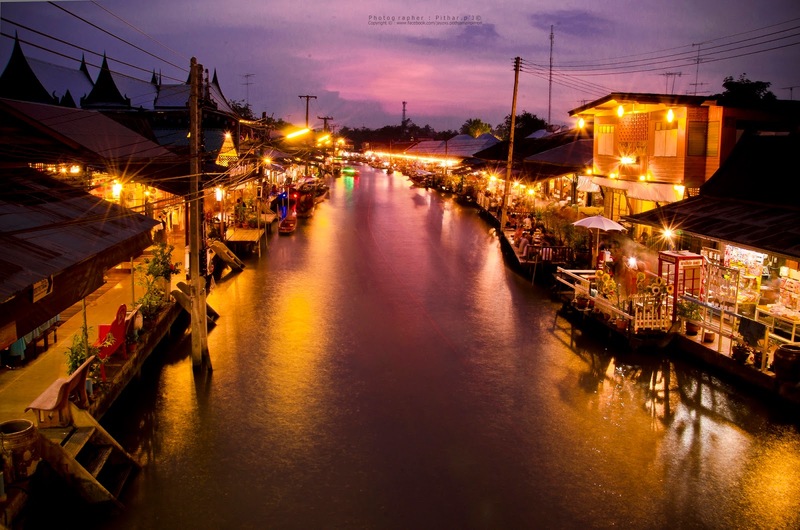 Visitors can also catch a boat and, just like in the past, visit a floating market place and experience the traditional Thai Lifestyle at Amphawa Floating Market. 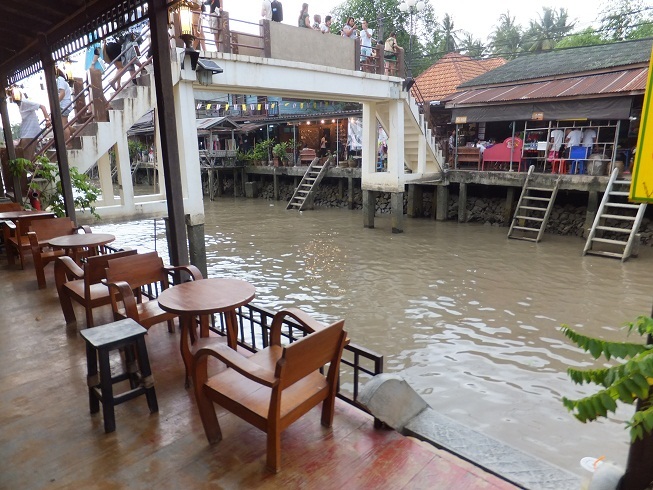 We will enjoy by walking along the wooden bridge on the waterside and enjoy picking through many different goods. 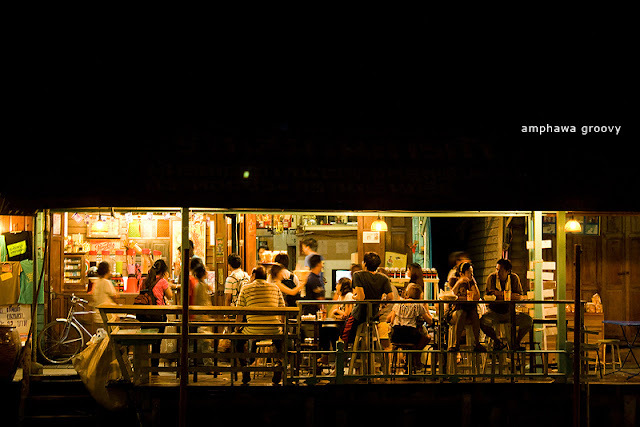 There is luscious local food such as rice noodle with curry, Thai desserts and sweets, grilled fresh seafood and many other delicacies. 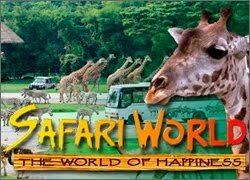 There are also a variety of hand-made souvenirs that are popular with the tourists who visit here. 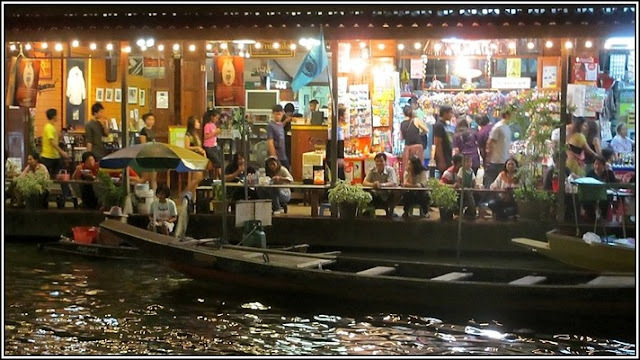 After dinner at the local restaurant beside the river, then we start for One of the popular activities for tourists is Firefly watching from a boat. Thousands of fireflies sparkling above the surface of the river is a very romantic scene. 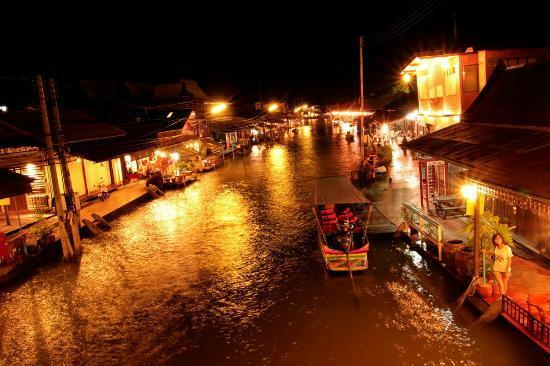 The little lights twinkle in the cool clear night air especially during the time of the waning moon during the rainy season, then back to the hotel with lots of nice memories. 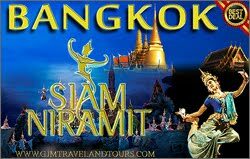 on your Ampawa Trip with Bangkok Day Tours There are many temples of sublime beauty & historical significance in the Ampawa area, but one of the most interesting is Wat Bang Kung, which dates back to the Ayutthaya Period. 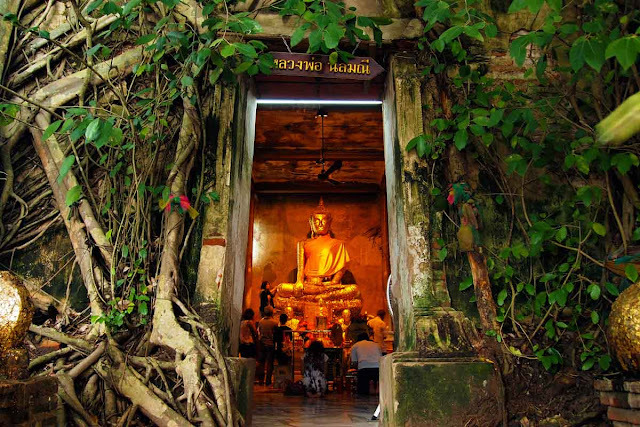 Wat Bang Kung is famous for the small chapel that is completely enclosed within the roots of a banyan tree called Bot Prok Po. It is almost like the tree itself is the pillars of the temple and that without the roots the chapel would fall down. 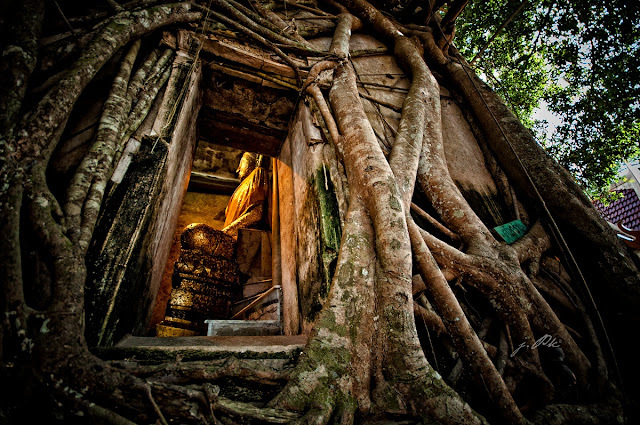 You can also go inside to pay respect to the Buddha image. Damnoen is the oldest and most popular floating market in Thailand. 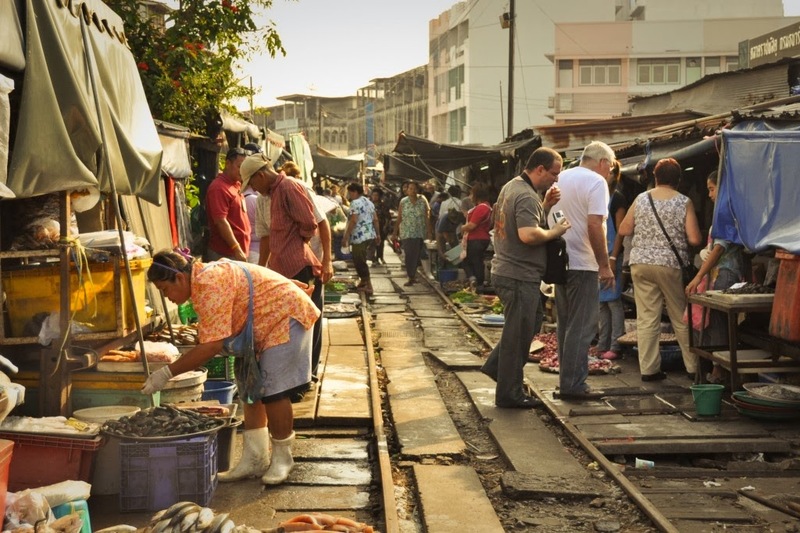 An early morning start is advisable to see the market at its liveliest best. The market is just an hour on the outskirts of the Bangkok city. 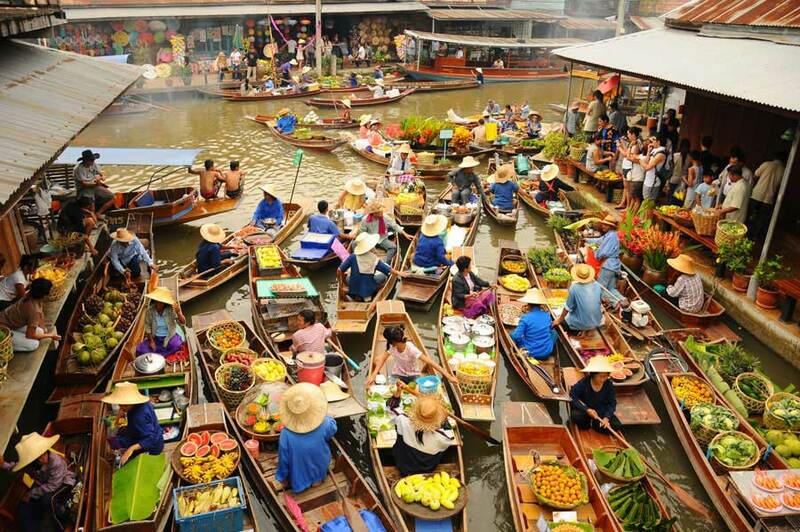 Long tailed decorated boats fill the water body and vendors sell fresh fruits, sea food and meat preparations. Vendors also sell local herbs and plants such as orchids. 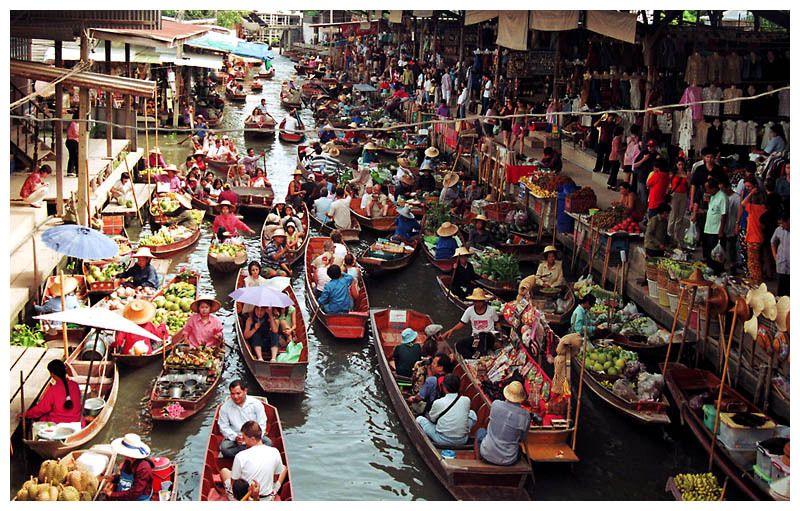 The local market also sells small toys, elephants, local headache balm and the popular souvenir t-shirts. The market is famous for its local delicacies such as mini coconut pancakes, noodles and rich meaty broth. 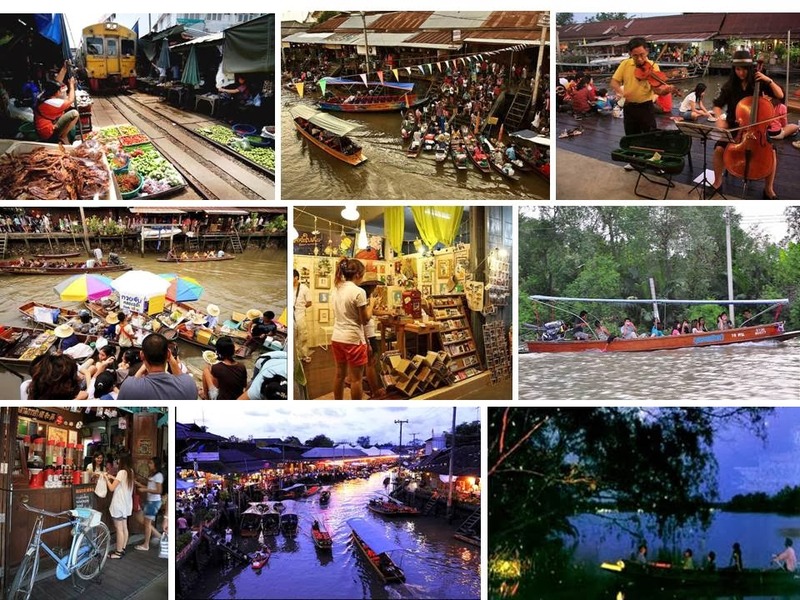 Mae Klong Train Market is a very special morning market and it has been featured always on travel channel. This place is located around 1.5 - 2 hours away from Bangkok Town. 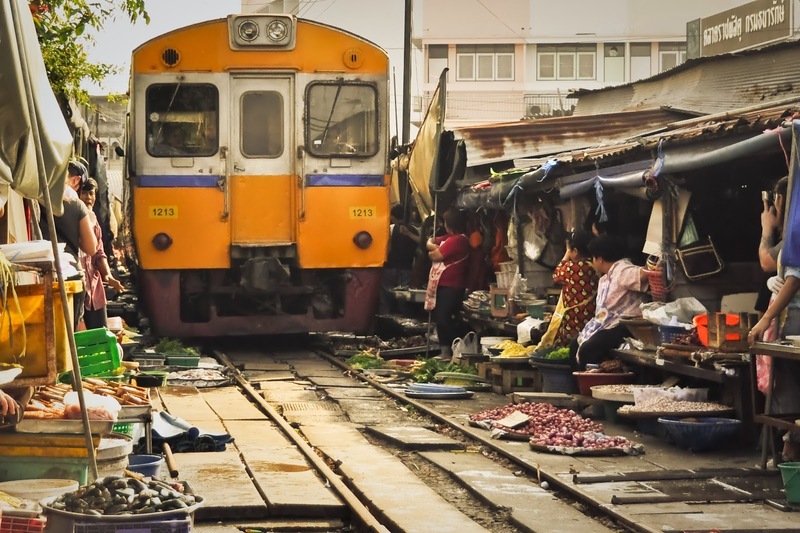 The market is being held on the railway itself. And everytime and everyday when the train comes, they will need to keep their things properly just few minutes before the train reaches.